G Doherty, Toal, Peers, Seaborne; McDonagh, Splaine (Ronan Hale 61), Rory Hale, Shiels, McDermott (Fisk HT); McEneff, Roy (Patterson 86). B Clarke, Madden, K Brennan, Desmond, Bermingham; Markey, Lennon, R Brennan, Byrne (Turner 77); D Clarke, Keegan. 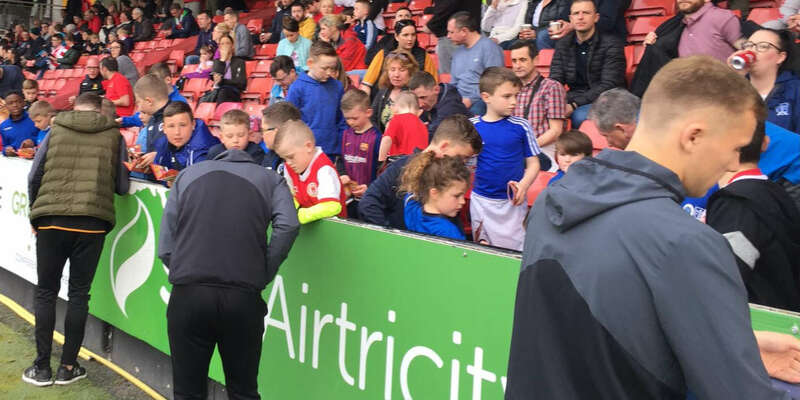 Rory Patterson came off the bench to earn Derry City a much needed win over St Patrick's Athletic, in a action packed game at the Brandywell. 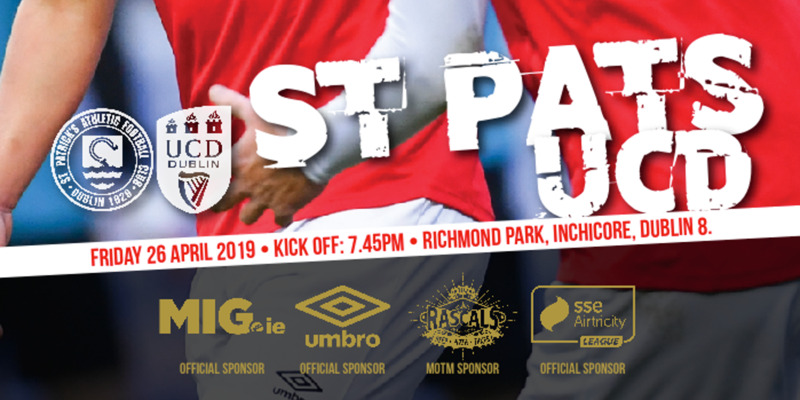 The victory over St Pat's really had everything with Killian Brennan also missing a penalty before Patterson's winner, but the madness wasn't finished there as three players were dismissed in the closing stages. Derry took the lead on three minutes as Ally Roy out paced with St Pat's back-line before blasting home, giving Brendan Clarke no chance. The Candystripes were unlucky not to double their advantage on 10 minutes but Rory Hale's terrific curling effort fizzed just past the post. St Pat's had two opportunities to equalise but Ryan Brennan headed wide, while Conan Byrne's close range strike hit the post. Just after the half-hour mark Aaron McEneff was inches from scoring City's second, but his 25 yard free-kick flew just wide.On 33 minutes St Pat's levelled things out of absolutely nothing as City failed to clear their lines properly and Ryan Brennan was on hand to turn home the loose ball from close range. Killian Brennan went close to giving the visitors the lead but his header was turned over the bar by City keeper Gerard Doherty. On 64 minutes Doherty had to make a smart save on to deny Conan Byrne, diving low to his right to keep the winger's header. Moments later a defensive mistake by Ian Bermingham let in substitute Ronan Hale, but with only Clarke to beat, the striker's side footed strike from just inside the box was straight at the keeper. Derry kept piling forward looking for a second goal but Ben Fisk and Eoin Toal failed to score when well placed inside the box. The winger was denied by Clarke and the Armagh man headed over.St Pat's were awarded a penalty on 83 minutes as Madden was upended inside the box by Fisk, but Killian Brennan's resulting spot-kick to Doherty's left was kept out by the City net-minder. 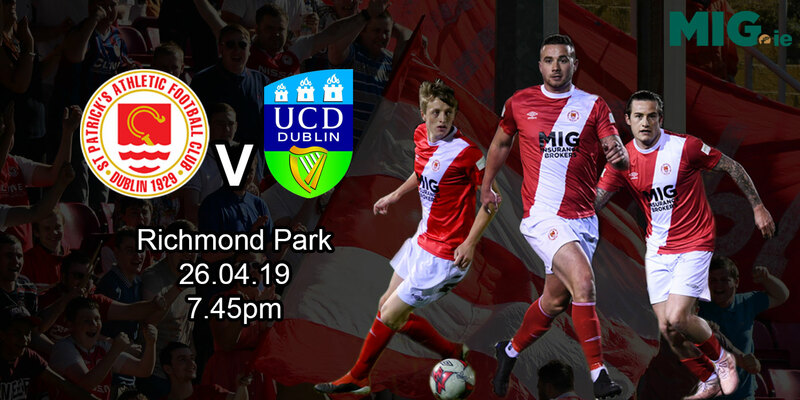 The visitors went close to taking the lead again soon after as a scramble ended with Ryan Brennan's close range strike superbly blocked on the line by McDonagh. Derry went straight up the other end and netted as super play by McEneff ended with the midfielder feeding substitute Patterson, who made no mistake from close range side footing home.